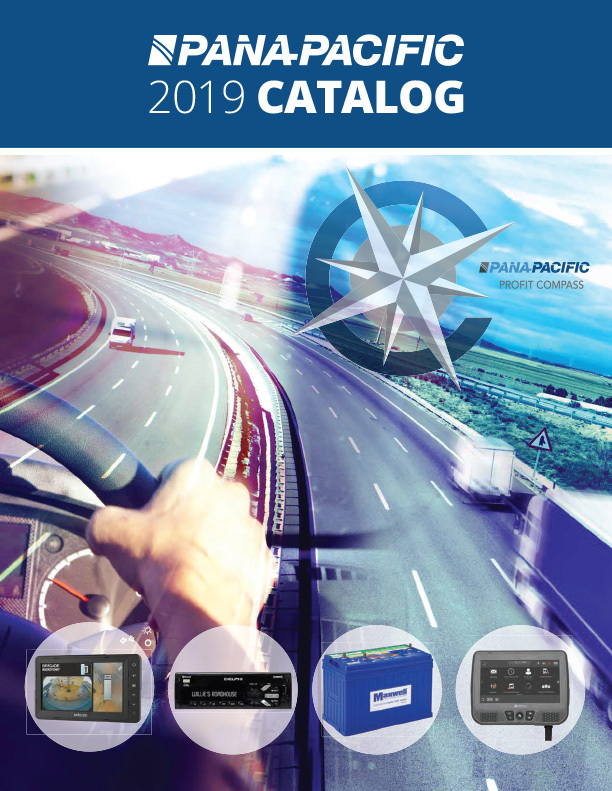 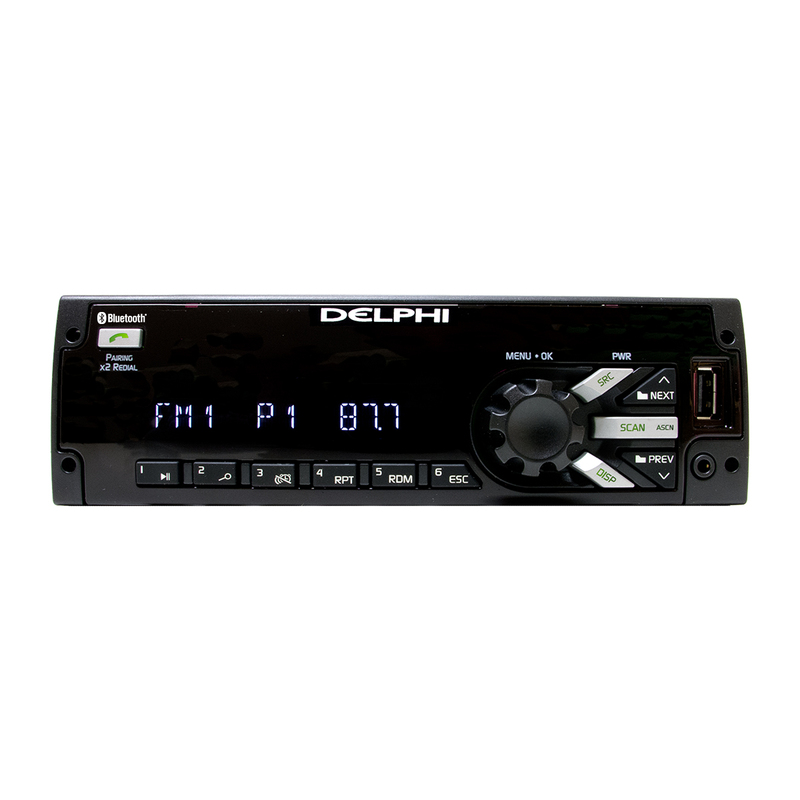 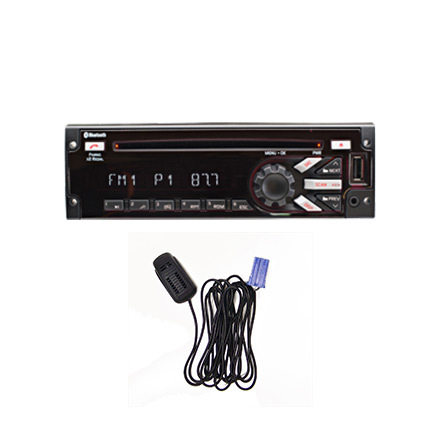 NOTE: This radio works ONLY in MACK trucks and is compatible with MACK software. 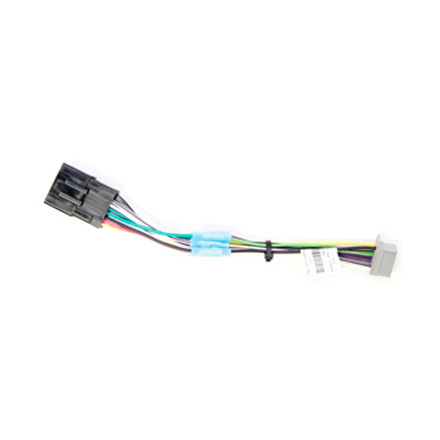 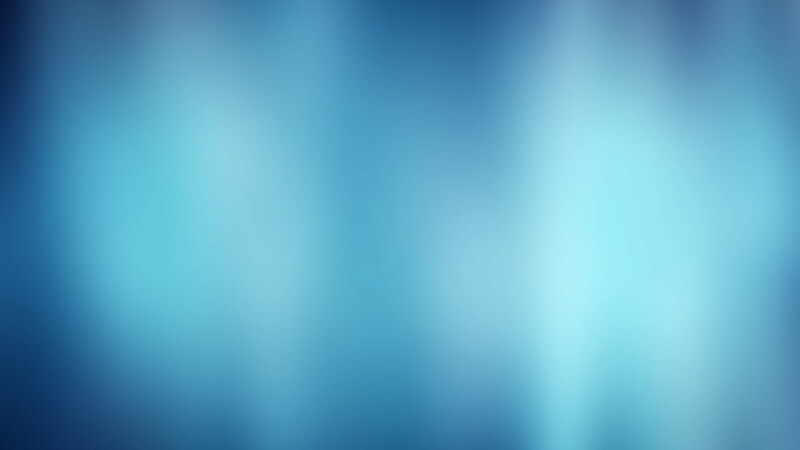 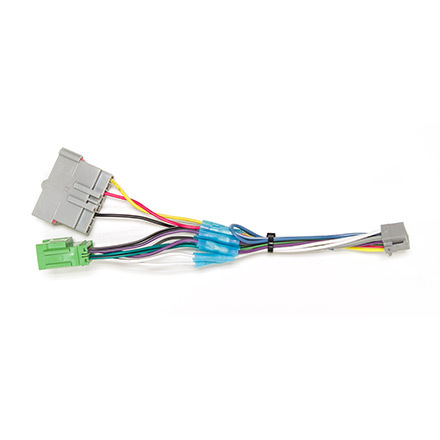 Specific adapter harness may be required based on truck options as noted in the harness guide. 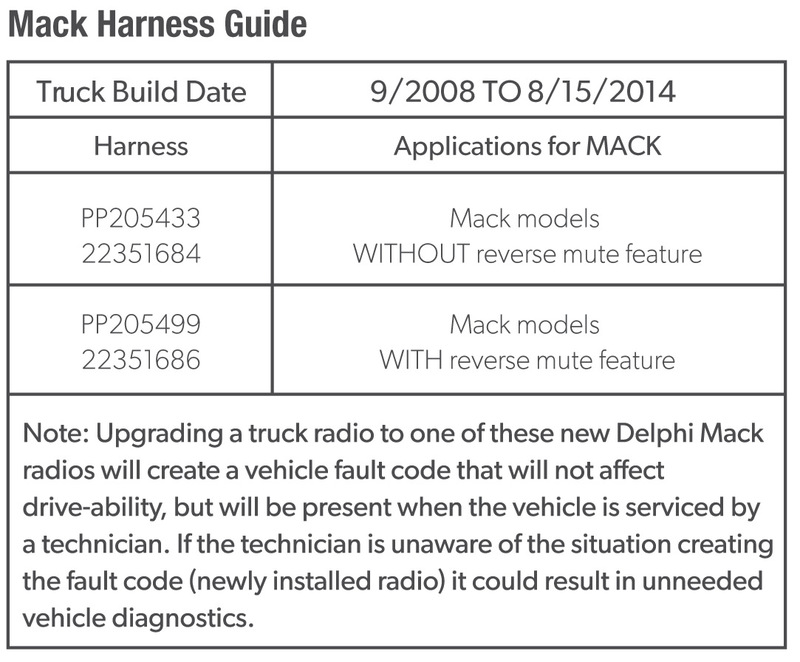 Mack trucks built after 8/15/14 will not require an adapter harness.